Online poker revenues are booming for partypoker, steady at PokerStars and collapsing at 888poker. 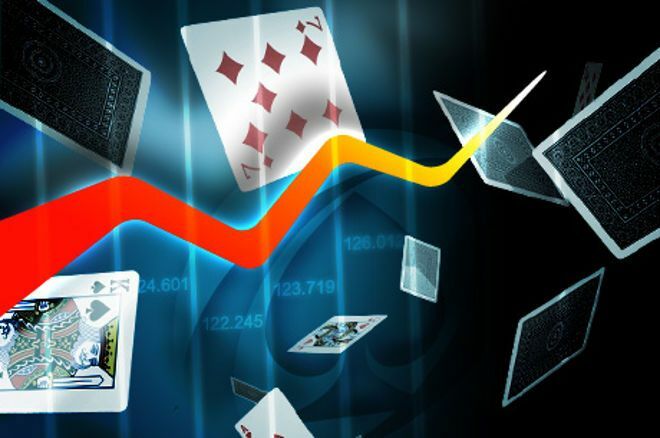 Online poker’s “Big 3” sites, 888poker, partypoker and PokerStars all recently released the trading figures for the last financial year and they make for interesting reading. The Stars Group-owned PokerStars’ online poker revenue remained stable, GVC Holdings’ partypoker exploded and grew by 42 percent, while 888 Holdings’ 888poker saw its online poker revenues collapse by 37 percent year-on-year. In a time when online poker is growing at a slower rate than other online gambling verticals, partypoker is seeing healthy gains in poker. “partypoker has been in a bit of a David-Goliath battle with PokerStars” admitted Kenneth Alexander, the GVC Holdings CEO, during the company’s full year presentation, during which time he revealed online poker revenues grew by 42 percent during 2018. And the trend continues, as Alexander said partypoker revenues had grown 38 percent in the first few months of 2019. The site has already overtaken 888poker as the second-largest online poker room and Alexander claims partypoker is “biting at their [PokerStars] ankles”. Under the guidance of Tom Waters and the input of U.K.'s Dusk Till Dawn casino owner Rob Yong, partypoker has been aggressive in its quest to regain market share in the real money online poker sector. Among changes implemented by the team in recent years include offering up to 50 percent rakeback to high volume players, launching the partypoker LIVE tour, and running huge events and festivals such as the $20 million guaranteed MILLIONS Online. GVC’s financial figures did not break down its online poker revenues, but Poker Industry Pro estimates online poker revenue topped €137 million in 2018, up from €98 million reported in 2017. That makes 2018's revenue the highest since 2012 when €175 million was reported. The Stars Group reported its international online poker revenue grew to $886.6 million in 2018, an increase of 1.1 percent, although this growth was only 0.4 percent on a constant currency basis. While the growth of online poker was small, the revenues generated from PokerStars are still more than five-and-a-half times more than partypoker reported, if the estimated figures from Poker Industry Pro are accurate. PokerStars ended 2018 on a decline, with Q4 revenue sliding to $211 million, down 10 percent compared to the same period of 2017. The Stars Group claims currency fluctuations worked against their numbers in this quarter, but even on a constant currency basis, 2018 Q4 online poker revenue decreased by 4.4 percent. Poker made up 61.6 percent of The Stars Group’s annual revenue in 2018, showing online poker is still a major revenue stream for the company. Revenues from casino and sports betting have increased almost four-fold since 2015 when casino revenue was $136 million (12.7 percent of the Group’s revenue) to more than $507 million (35.3 percent of the Group’s revenue). Rafi Ashkenazi, The Stars Group’s CEO, said that the increase in casino and sports betting revenues has come at a cost to its poker revenues as its players are now spending some of their bankrolls in the online casino. That said, online poker remains a major acquisition channel for The Stars Group as it allows the company to cross-sell sports betting and online casino games. The financial report for the third major online poker brand was less optimistic. 888 Holdings revealed revenues from its online poker business, 888poker, declined by 37 percent in 2018 compared to 2017. In 2017, 888poker revenues stood at $77.9 million but plummeted to $49 million during the last financial year. The collapse in revenues meant the second lowest revenues ever generated by online poker - with only the $38.4 million from 2010 marking less revenue. According to Poker Industry Pro, 2018 marks only the second time online poker has not been the second-largest revenue stream for 888 Holdings. Bingo overtook online poker in 2010 and in 2018, sports betting knocked online poker from the second spot. Only 10 percent of total gaming revenue for 888 stemmed from online poker last year. Not too promising for 888 shareholders is the fact online poker revenues for the entire second half of 2018 were less than every quarter from 2014 Q1 to 2017 Q2. 888poker has attempted to stop the rot by running several promotions, including rake-free tournaments. The poker software is also in the process of a complete overhaul which the site hopes will attract more customers and allow them to keep hold of the ones who are still loyal to the brand.